Its not everyday that you get the opportunity to sit down and talk to someone who was living in Codnor over one hundred years ago. So when I was asked if I would like to visit 104 year old Ewan Walter Thorpe at his home in Loughborough, I jumped at the chance. 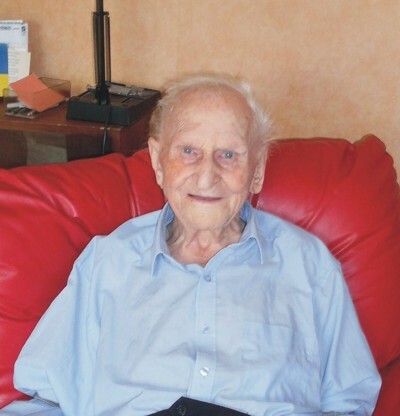 Although he moved to Loughborough in 1931, he remembers his early life in Codnor as if it was yesterday, his memory is still pin sharp and he can recall names and dates with surprising ease. He was born on the 18th December 1907 at number 108 Codnor gate and although his first name is Ewan, he prefers to be called by his middle name, Walter. Before the house numbers were introduced, Walters address was Spring Villa’s, Codnor Gate. This used to be written on a plaque above the archway between the two houses (No’s 108 and 110). His parents were Beatrice and William Thorpe and they had an older son called ‘Joseph William’ who was born shortly after they were married in 1903. As well as his older brother Joseph, Walter also had six half brothers and sisters living with him. They were from Beatrice’s first marriage to Thomas Nicholson who died in 1898 and they were called; Alice Nicholson born 1884, Thomas Nicholson born 1885, John Nicholson born 1887, Albert Nicholson born 1891, Annie Nicholson born 1892, Alfred Nicholson born 1895. Walter’s father was a coal miner who worked at nearby High Holborn pit until it closed in 1909 he then went to work at the newly opened Ormonde pit at Loscoe. Fig.1 A picture of the Thorpe’s and Nicholson’s taken on the back yard of No.108 Codnor Gate (Spring Villa’s) Circa 1911. Councillor Tom Cooper: Took credit for the construction of the duel carriageway between Codnor and Langley Mill in the 1930s. Albert Nicholson: He owned a newsagents shop on Codnor High St.
John Nicholson (Jack): A member of the Machine Gun Corps during World War One, presented with the Belgian Croix de Guerre for outstanding bravery and valour. Alfred Nicholson: Originally a Frame work Knitter but left to join the Navy. Tom Nicholson: Worked as a Lathe Turner at Denby Pottery. Ewan Walter Thorpe: Sat on the chair with long blonde hair. Joseph William Thorpe: Walter’s older brother. Beatrice Thorpe: Walters mother, previously married to Thomas Nicholson. William Thorpe: Walters father, a coal miner at High Holborn and Ormonde pits. Fig.2 John Nicholson was awarded the Belgiun Croix de guerre (Cross of War) in World War One. This award was established on 25th October 1915 for outstanding bravery or military virtue on the battlefield, and was awarded to individuals only. 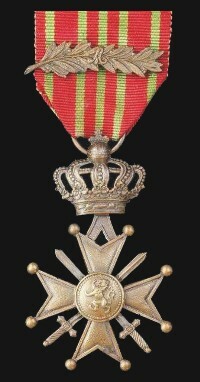 It was modelled on the French Croix de Guerre, but the ribbon is red with three vertical green stripes in the middle and one vertical green stripe on each side. 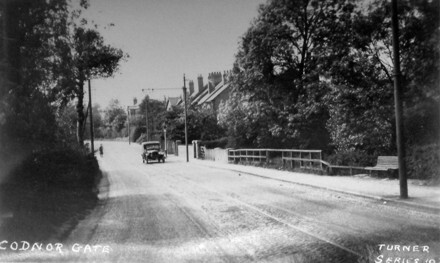 Walter remembers Codnor gate corner as a quiet part of the village, there was no tarmac on the road in them days so it was a “mud bath” all winter and a “dust bowl” all summer. He can remember the cobble stones and rails being laid in preparation for the trams in 1913, and he recalls the times that him and his mates would crawl into the brick culvert where the brook runs under the road and wait for the trams going over head. The only car you were likely to see would be one belonging to Dr Thomson. This was originally a French De Dion Bouton, (which can be seen on the Heanor road webpage) but Walter says Dr. Thomson replaced this with a chauffer driven Rolls Royce. Walter’s mother paid 3d (three pence) a week medical insurance to Dr Thomson, and this was collected each week by his chauffer. One day Walter and two of his pals were cycling down Marehay when one of then fell off in front of him. Unable to avoid him, Walter ran straight over him and ended up crashing himself. 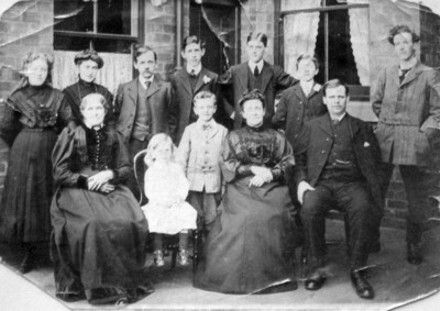 It took them ages to get back home to Codnor and later that night, Walter was in so much pain that his father had to take him to Dr Thomson’s house on Heanor Road and get the Doctor out of bed at 11:30pm. His collar bone was broken and although Dr Thomson treated him, It never healed together properly. Just around the corner from his house was The Gate Inn, which was his father’s and half-brothers local pub. They would often sit at the bar and talk with the local bobby who also came into the pub later in the evening to meet with his sergeant. One morning Walter’s mother awoke to find their front garden completely wrecked. All the flowers were flattened and the shrubs broken and holes smashed in the hedge. She was just about to call for the local bobby when Walters Father remembered a conversation he had the previous evening in the Pub. William and his step son John (everyone called him Jack) had been drinking in the Gate Inn with the constable the night before. When William left for home he turned to the constable and told him he had some beer at home and would leave a bottle of it for him in his front Garden. The constable left the pub later that night having already had more than enough to drink and went to look for the bottle of beer that Walter’s father had promised him. However when he arrived at Walter’s house it was so dark and he was so drunk that he couldn’t find the beer anywhere. He stealthily trampled around in the front garden, tripping over shrubs, falling into the hedge and generally turned the whole place upside down, but couldn’t find any trace of it. “So that explains this mess” said Beatrice “but where did you hide the bottle of beer”? “Well to be honest” William replied “by the time I got back home last night, I forgot all about leaving the bottle of beer out and I just went straight to bed”. Fig.4 This is a picture of No. 11 High Street Codnor when it was Burtons Shop in about 1900. Albert Nicholson took it over in about 1930 and ran it as a news agent. 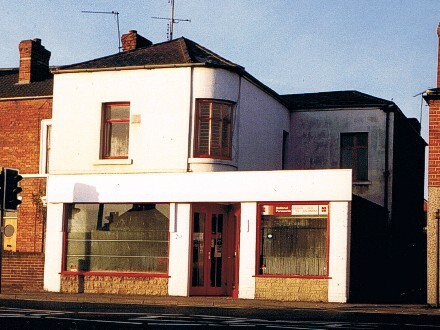 Fig.5 This is Albert Nicholson's shop as it looked in the 1990's soon after it had been vacated by Logic electrical. 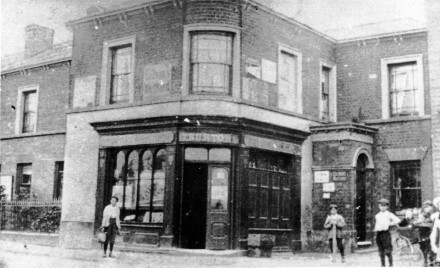 Albert was responsible for building the square extension that you can see in the photo, which he used as a chip shop until a fire caused him to close it down and he then used it to sell vegetables. Walter started at Mill Lane School when he was just three years old. All the children would have a wooden tray of sand, which they would use to learn how to write letters and numbers using their fingers. He then went on to White Gates School were he remembers Mr Colin B Wood, the head master and his teacher Miss Janet Walker, who he confessed to having a “crush on” when he was a pupil. “I always thought I would marry her when I grew up” he laughed. Walter left school at Christmas 1921 and went straight to work at the Butterley Company at Ripley. He was only 13 so he had to work there for a year before he could become an apprentice. He was involved in the construction of boilers and bridges but can also remember constructing the colliery headstocks for Ollerton Pit. 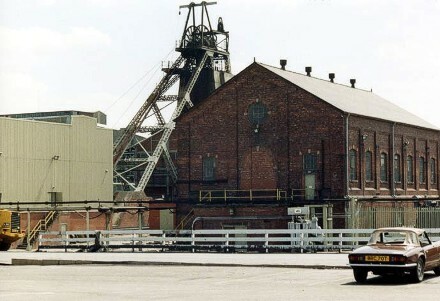 Fig.6 The pit Headstocks at Ollerton Colliery that Walter worked on during his years at The Butterley Company. Walter left Codnor and the Butterley Company in 1931, he married Edna Hickling and settled down in Loughborough were he still lives. Walter’s time served apprenticeship at the Butterley Company enabled him to get a job at Herbert Morris Ltd, Empire works, Loughborough. He was involved in the manufacture of crane girders and he remembers how busy the firm was during the Second World War when the country needed cranes for the reconstruction of bomb damaged cities. He spent the rest of his working life at Herbert Morris, until he retired on 30th June 1972, by which time he was in charge of seventy men. Walter was determined to enjoy his retirement and at the age of 86 he toured North America. He liked it so much that he did it again a year later, visiting Atlanta, Cape Canaveral, Miami and finishing up in the Bahamas. He later visited many countries in Europe and went on three Mediterranean cruisers with the last one finishing in Malta. But Malta wasn’t to his taste, it was too hilly for his liking. He enjoyed playing Bowls at the Beacon Road Bowls Club in Loughborough until he was 90 years old then decided to take up Golf at Shelthorpe Golf Club. Walter cant get about as much as he used to anymore but he was able to visit Codnor again a couple of years ago thanks to his friend Garth Butler who drove him up one day to spend a day in the village were he was born. They visited Whitegates school and talked with the Head master for a while then spent sometime looking around the village at all the changes that had taken place since he left. He finished off with a meal at the French Horn Pub before going back home to Loughborough. He has a daughter, jean who visits him regularly as well as two grandchildren, Jim and Anna and a great granddaughter Megan. Walter’s latest hobby is a Laptop, which he admitted he is still learning how to use but I’m sure he will have it mastered before long. On the Evening of the 25th September 2012 I received an email from Walters friend, Garth Butler to say that Walter had just passed away. Many thanks to Walter Thorpe for sharing his memories with me.